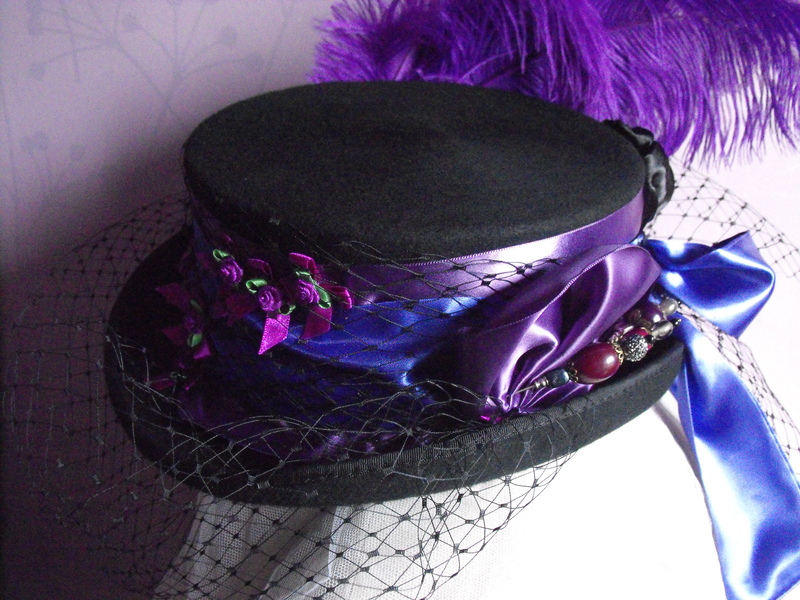 Here are some of our latest commissioned hats, hope you like them. 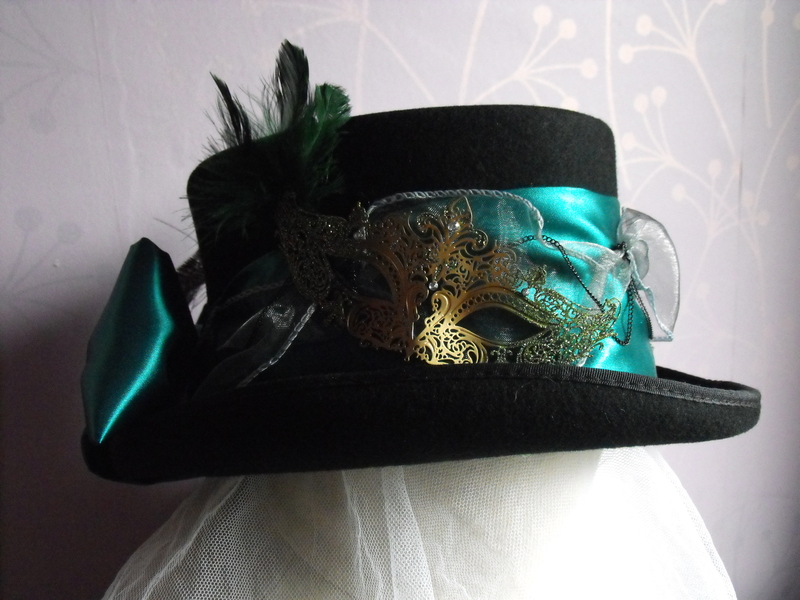 we are getting ourselves ready for Leeds in March see the details in the what’s on section. 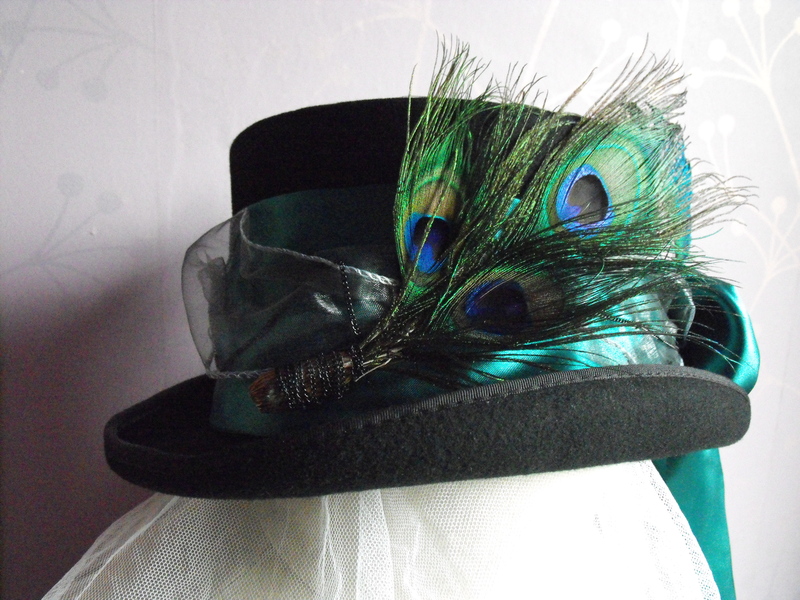 More images of The grande Plumage. 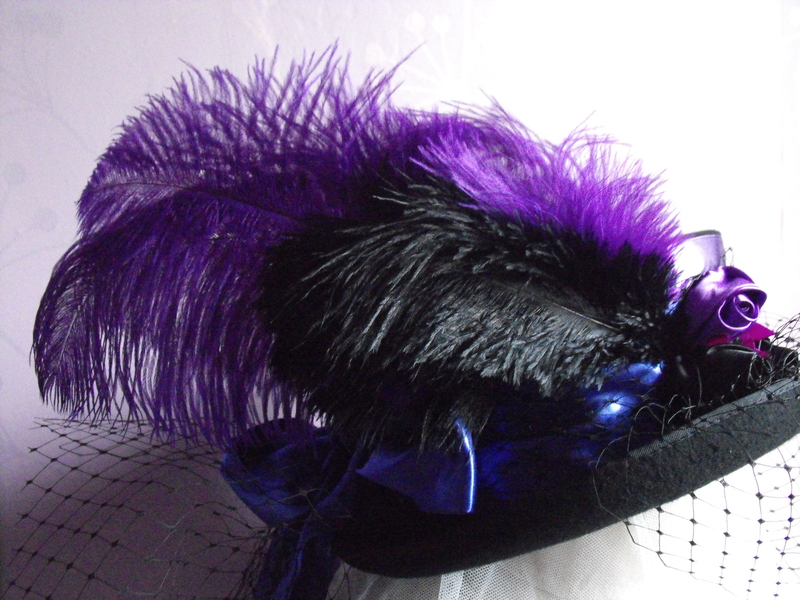 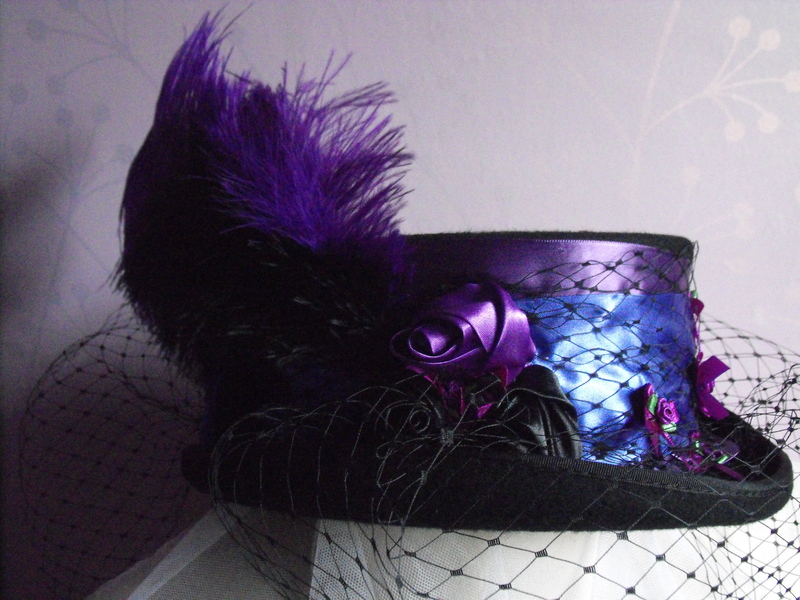 The Grande Plumage, Gothic inspired purple veiled top hat.